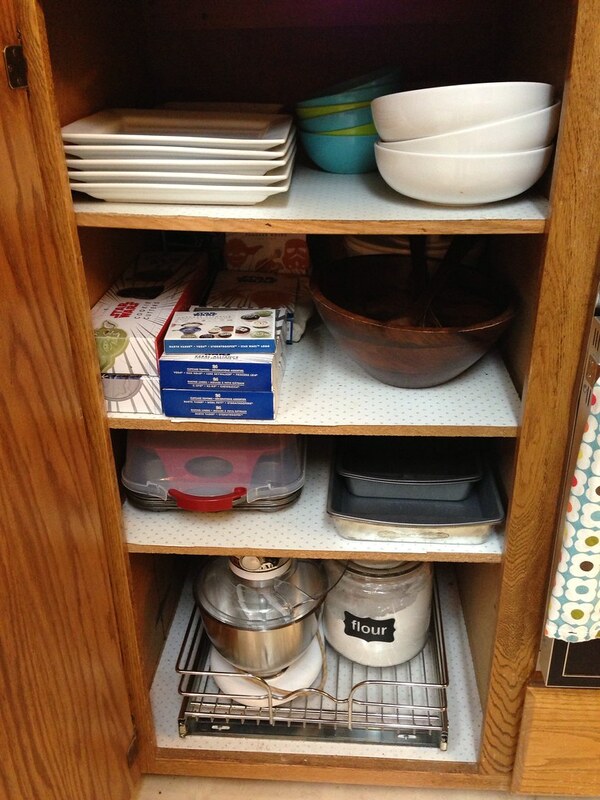 It’s amazing how making a home for one item can help reorganize everything else. This was the case with my mixer. Ever since we moved, I’ve been struggling to find a place for my grandmother’s Kitchenaid mixer. While I love it death, I just can’t keep it on the counter like I want to. Instead, we got a Rev-a-Shelf that could carry the weight. Joshua installed it on the bottom shelf, and now my mixer fits perfectly along with my sugar and flour jars. Now that these baking essentials have a home, it has made it a little easier to unpack the remaining two boxes of kitchen stuff.